About Us | Tile Masterworks, Inc. When nothing but the best will do for your stone and tile work, choose Tile Masterworks. You will be astonished at how tight and consistent the grout joints are. You will be pleased with how level and even the floor looks. Every attention to the grain of the stone is given. Our projects are truly masterful! We are a locally established business in the greater Sierra Vista area for over 13 years! Ask for information and pictures from our Bisbee renovations or structures at Buena. Licensed, Bonded and Insured. 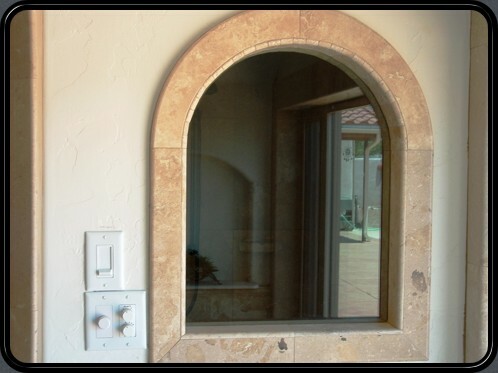 Rest assured, you will be completely satisfied with the level of workmanship in your project.